On May 10, 2018, Syfy announced that they would not air cult sci-fi TV series The Expanse for a fourth season. Thousands of fans were devastated, especially considering that the series was just amping up into a truly exciting arc. Before long, fans took to the web to begin calling for someone — anyone – to pick up the show, organizing under a single banner: #SaveTheExpanse. Calls to action started appearing quickly. A petition on Change.org was set up the next day and began quickly gaining signatures; after a retweet by The Expanse writers and a mention in Business Insider, it was all but official. A megathread posted on Reddit outlined how fans can take action, and #ScreamingFirehawks were already making noise on Twitter, supported by a rather wide array of prominent celebrities such as George R. R. Martin and Patton Oswalt. 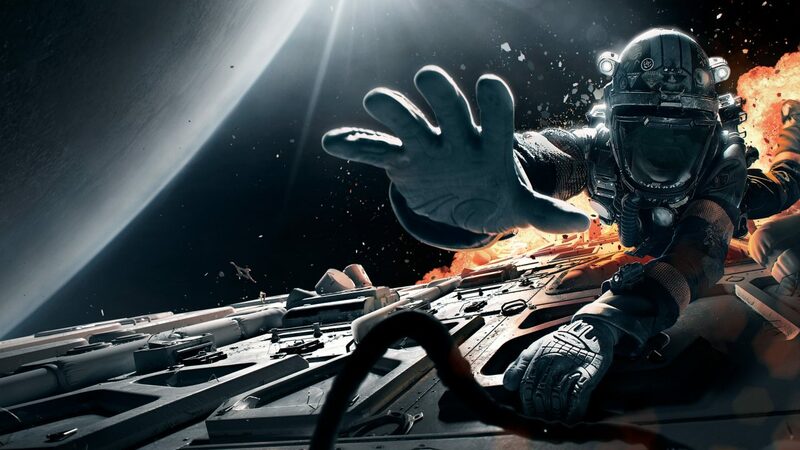 Groups such as “Everything The Expanse” and “The Expanse Geeks” were rallying Facebook users as well, and the Unofficial Expanse Discord server became ground zero for many of the fan initiatives that were about to take place. Netflix was the first major target for fans, as they were known to be interested in more original sci-fi content and already owned the international streaming rights to the show. However, gears shifted quickly when Jim Murray took to Facebook on May 12 to let fans know that “Netflix is out”, and to focus on Amazon instead. Fans began flooding Amazon Studios’ online “For Your Consideration” form, with many receiving and sharing responses from Amazon’s customer service agents. Murray also noted that the set strike was to begin the next day, but later returned to notify fans that the strike was postponed until Wednesday – possibly for the benefit of other productions looking to purchase sets and props. On the morning of May 14, Reddit user /u/DQ87 posted a call-to-action video clip that accumulated a whopping 50,000 upvotes on Reddit and over 170,000 views on Youtube. It was shared widely among the cast & crew and fans online. #SaveTheExpane was officially viral. While making noise on the internet was great, we knew we needed to do something big if we wanted to catch mainstream attention. Redditor /u/Tim456789 suggested flying a hot-air balloon, but this wasn’t possible due to time constraints. Instead, /u/sfcl33t set up a fundraiser on GoFundMe to fly an airplane with a #SaveTheExpanse banner above Amazon Studios. Silva’s brilliant idea took off and the flight was fully funded within 5 hours, with the plane arranged to fly the next day. Fans also sent care packages of coffee and filters to Amazon, which was discussed in the same thread. On the morning of Tuesday, May 15, /u/Alaskan__Thunderfuck posted a three-minute fan trailer for the show on Reddit. Within a couple of hours, the video had made it to the #1 spot on the entire site and was widely shared on other social media platforms, inspiring thousands of new viewers to try out the show and energizing the fandom. Later that afternoon, several of the show’s cast and crew, joined by some local fans, gathered to witness the airplane make its rounds in the sky above Amazon Studios. Video clips and streams went live on Twitter, allowing everyone else to tune in. The event drew a huge amount of attention from mainstream media outlets, and made it literally impossible for Amazon to ignore the campaign. The same evening, Cas Anvar, who plays pilot Alex Kamal in the show, hosted a livestream on Periscope. Updating the fans on the latest state of affairs, Anvar urged everyone to tune in live the next day and help bump broadcast ratings for the upcoming episode. Although many fans preferred a potential Amazon acquisition to a Syfy renewal, Nielsen ratings are still an important metric for any network to determine the value of a series. Because international fans and those without cable access could not support the initiative, they continued lobbying Amazon alongside the push to bump live viewership among those who could tune in. After a coordinated push by the fans, cast and crew, it worked. The sixth episode of the season, titled “Immolation”, drew over 60,000 new viewers to the screens, bumping the live ratings by over 10%. Over 10,000 unique tweets with the #SaveTheExpanse hashtag were posted on Twitter that day, including live tweeting during the broadcasts, and generated close to 70,000 interactions — the highest point of the entire campaign. This was an incredible feat, and the fans were invigorated to continue the fight. The day after, several members of the community began organizing a volunteer campaign group to help manage the logistics and marketing of the ongoing movement. Recruiting nearly two dozen fans from various industries, this team formed as @SaveTheExpanse. You can learn more about this team’s activities during the campaign in an extended version of this article here. On May 18, Bora A. Kutlu released a video titled The Expanse is All Around Us. Kutlu used 3D tracking to imagine what a multi-million dollar advertising campaign for The Expanse might look like on the streets of LA. The instantly beloved video struck a chord with the community as well as the cast & crew. The same day, an article about the movement was published in Newsweek, featuring interviews with several fan contributors (all of whom, coincidentally, were now part of the volunteer campaign team). This was the first mainstream media article to take a deep dive into the fan campaign, describing the fan efforts up to that point in detail. With the petition now north of 115,000 signatures, Jim Murray once again posted on Facebook to reveal that the set strike had been halted for another week. This suggested that the campaign was making a real difference. Fans were now engaging with a new social media initiative, #BingeTheExpanse. The push was meant to encourage fans to binge the show with friends over the weekend to introduce and catch new viewers up to the show. Since many would be streaming online at Amazon and Netflix, it would hopefully bump their numbers as well. On Sunday, May 20, well-known video editor Zurik23M released another brilliant fan trailer. The video chronicled the dishonest and confusing nature of the war in the show and highlighted the tension between the solar system’s factions and characters. It drew attention to the gritty and mature writing style of the series, and reminded fans of what makes the show feel so real and relevant to us today. That evening, Naren Shankar (executive producer and showrunner), Cas Anvar (Alex Kamal), and Wes Chatham (Amos Burton) appeared live on AfterBuzz TV to discuss the latest episode. At the end of the stream, the trio issued a heartwarming acknowledgement of the #SaveTheExpanse movement and thanked the fans. A statement from Alcon Productions was read out by Anvar, assuring the fans that their efforts were making a real difference and that they were working hard on their end – prepared to try “everything” to make this work. This was a hopeful moment for the fanbase, who became more energized than ever, with the movement now backed by just about everyone involved with the show. On Monday morning, May 21, Reddit user u/thegroovologist suggested sending a model of the Rocinante to the edge of space on a weather balloon. Within hours, the fan volunteers organized the fundraiser and kicked off the campaign. It took less than three hours to crowdfund the second stunt of the campaign, demonstrating that the fans weren’t anywhere close to giving up and were not out of creative, extravagant ideas. Newsweek and Inquisitr both reported on the stunt the next day, and the petition broke 125,000 signatures. Tuesday, May 22 was an intense day for everyone. At precisely 3PM PST, Hollywood Reporter published an article titled “The Expanse Revived for Season 4 at Amazon”. The intentionally attention grabbing headline caused some initial chaos, as it appeared to claim that the acquisition of the show was confirmed. Other media outlets reporting on the news immediately after clarified the issue, noting that the streaming giant was ‘in talks’ with the production company Alcon Entertainment about the possibility. The news was promising, but the fight was not over – and fans continued to press on. Later that evening, several cast members appeared on an internet radio station “LA Talk Radio”, on a segment hosted by Sheena Metal. The attendees included Hallie Lambert (a writer on The Expanse), Cara Gee (Drummer), Cas Anvar (Alex Kamal), Wes Chatham (Amos Burton), Francois Chau (Jules-Pierre Mao), Elias Toufexis (Kenzo/protomolecule monster motion capture), and even Frankie Adams (Bobbie Draper), who called in over the phone. The segment, live streamed on Facebook, featured a lot of general discussion about the show, the actors’ personal backgrounds, and, of course, the fan campaign. The guests spoke at length on the movement to save the show and how it has changed the landscape, mentioning the upcoming Rocinante weather balloon flight. One fan organizer even called in and spoke with the attending cast, offering his support on behalf of the fans and sharing why the show is so inspiring to many people. The stream was a very exciting event, as fans had a chance to see such a large portion of the show’s cast talk about the movement and offer their support live. In fact, fans accidentally crashed LA Talk’s website trying to tune in. Suffice to say, the participation of the cast & crew throughout the campaign was unprecedented, and the connection they shared with the fans is incredibly meaningful and inspiring. On May 23, a #SaveTheExpanse cake was sent to Amazon Studios. Meanwhile, r/TheExpanse was declared “subreddit of the day” on Reddit. And finally, that evening, the next episode of the show aired on Syfy, titled “Delta-V”. In Toronto, the production office gathered to watch the latest episode together, joined by Steven Strait. Strait gave a short speech before the screening, mentioning the weather balloon launch. The production team also watched Bora Kutlu’s The Expanse is All Around Us fan video that he had released the week before, a testament to the impact fan-made content can have. Once again, fans and the cast & crew pushed for live viewers and tweeted throughout the broadcasts, helping to bump the ratings another 2% to 625,000 viewers. The episode itself was the start of a major new arc in the series, hammering the point that the show was just about to get bigger than ever. On May 24, the Rocinante model, contributed to the stunt by redditor /u/h0rrain, was launched by SentIntoSpace. An image of the Roci at her highest point was released by the volunteer campaign team soon after and was widely circulated on social media. On Friday, May 25, members of The Expanse’s cast and crew and Jeff Bezos were present at the ISDC (International Space Development Conference). The Expanse was to have a panel on the science of the series, while Bezos was to accept an award and give a talk to guests from the space and aeronautics industry. Fans were hoping for something magical to happen at this event. It was a totally unplanned coincidence, scheduled months before the cancellation of the show. Several fan organizers even flew out to meet and support the cast & crew at this crucial moment, and an edited video of the Rocinante weather balloon flight was released online. Those present at the conference included Naren Shankar, Hallie Lambert, Cara Gee, Steven Strait, Wes Chatham, and Cas Anvar. The panel kicked off with a showing of Zurik23M’s trailer that was released the week before – a welcome acknowledgement of the quality of fan-made content. After the panel concluded, the cast went out to meet Jeff Bezos, who was mingling in the lobby. This was already suspiciously theatrical, and seemed to all but confirm the possibility of acquisition. Off to the side, fan organizers were holding up a giant #SaveTheExpanse banner (just in case Bezos still hadn’t gotten the message). The crowd went wild. Many of those present in the room were fans of the show as well, not to mention the cast and crew. The news came at a perfect time, in a perfect way – and no one could have been happier. We did it! The Expanse was saved. The historic campaign concluded in the most climactic fashion possible. The wealthiest man in the world took it upon himself to issue this announcement – not by press release or a news report – and was excited to do so. The fans filled the promotional gap left by Syfy and proved themselves to be one of the most creative, talented, and resilient fandoms ever. By the end, the petition reached nearly 140,000 signatures. Planes and weather balloons, incredible fan trailers and illustrations, trending hashtags and mainstream reach, and even a dedicated team of full time volunteers all contributed to the effort. They were supported by the wonderful cast and crew and Alcon Entertainment, the dedicated production company of the series, who worked tirelessly behind the scenes to make this a reality. A couple of months later, the cast and the showrunner got together with Amazon to produce a short video thanking fans that was shown at the Amazon Prime Video panel at San Diego Comic Con. This wonderful video acknowledged the fans directly, promising a fantastic new season and even calling the #ScreamingFirehawks out by name. From all of us at The Expanse Lives, we wish to thank you as well. If you signed the petition, donated to the fundraisers, watched and shared fan work on the internet, tuned in live or streamed the show, liked and retweeted The Expanse on social media, or voiced your support in any way – thank you. This could not have been done without you, and you are the reason one of the greatest shows to ever grace our television screens will remain alive and well. #TheExpanseLives! A full, unabridged version of this retrospective is available here. In that version, we offer a more personal and detailed account of the events from the perspective of the @SaveTheExpanse team, sharing all kinds of fun tidbits of information along the way and featuring quotes from various fans and creators in the community. Thank you for reading!